Sometimes the most simple mods make a huge difference. For the June Super Mod Cup Contest we serve up 10 of simple and clever mods that anyone, anywhere, at any time can do. Simply brilliant! Welcome to the June 2017 Super Cup Monthly Mod Contest. Please review the following ten Mini-Mods and vote for your favorite. We will announce the winner next week. For more information about the Monthly Mod Contest, including how to enter, click here. I have added stick on Command hooks for a shoe rack because I wanted easy shoe storage. The shoe rack is for stationary use. It took me five minutes to complete this modification and cost me $15. In my opinion, the skill level of this modification is easy. 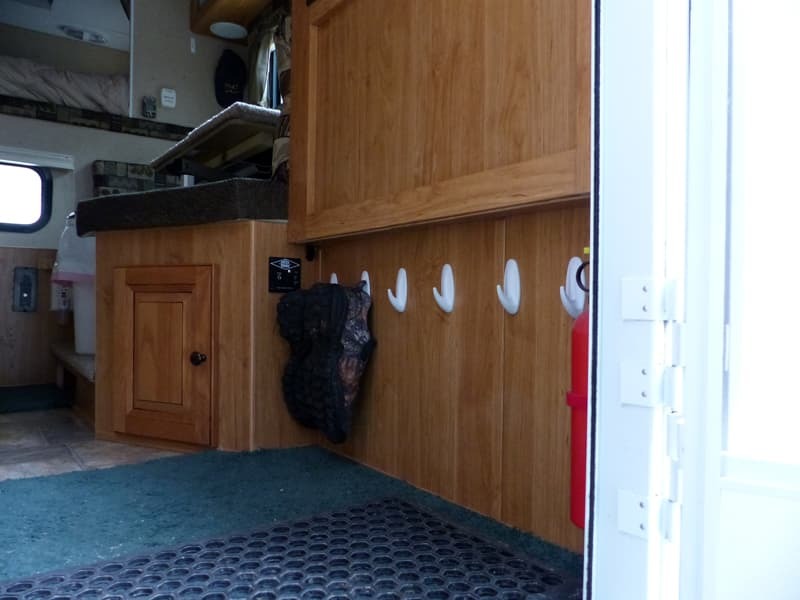 Our Lance Camper switches are in the access area to the cabover bunk, so they got bumped occasionally. 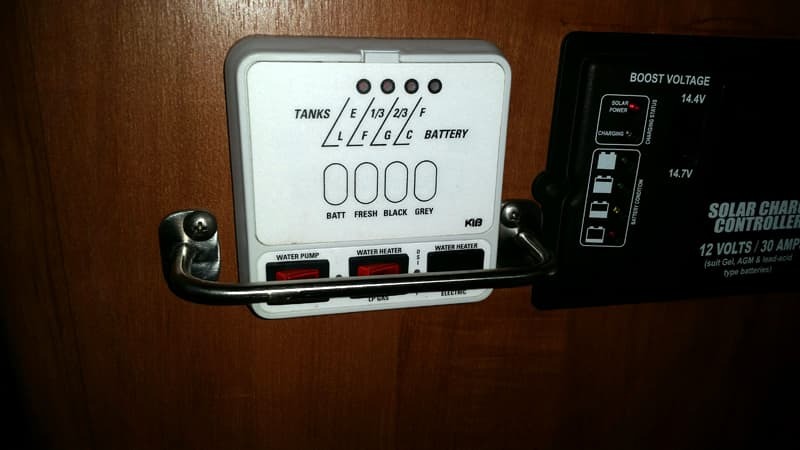 This simple mod will stop accidentally bumping rocker switches on or off. I bent some 1/4-inch tubing and welded a couple of feet on for screws. To simplify, go to Home Depot and look for drawer pulls which will span your switches. Also, the pulls need to extend enough so you can operate the switches. Caution: Check to make sure there is no wiring or plumbing behind the screw locations and use screws short as possible to prevent getting poked when reaching in the cabinet. This mini-mod works well. Problem solved! It took me about 10 minutes to complete this modification and cost me a few dollars. In my opinion, the skill level of this modification is super simple easy. 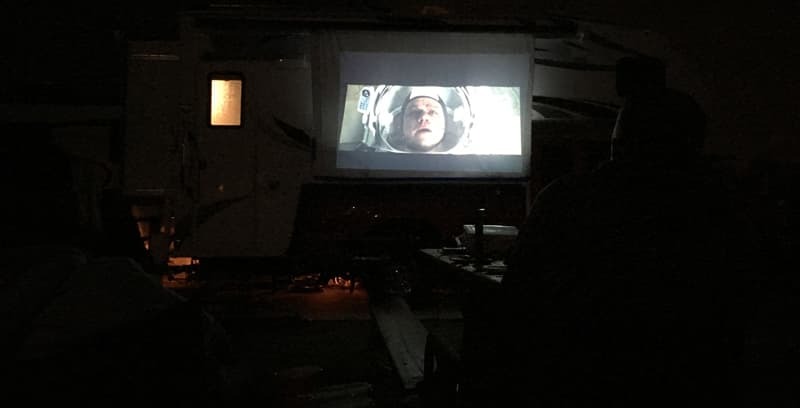 We like to show outdoor movies at rallies and other truck camper events. I have a movie projector and some wireless speakers that I set up outside on the picnic table. 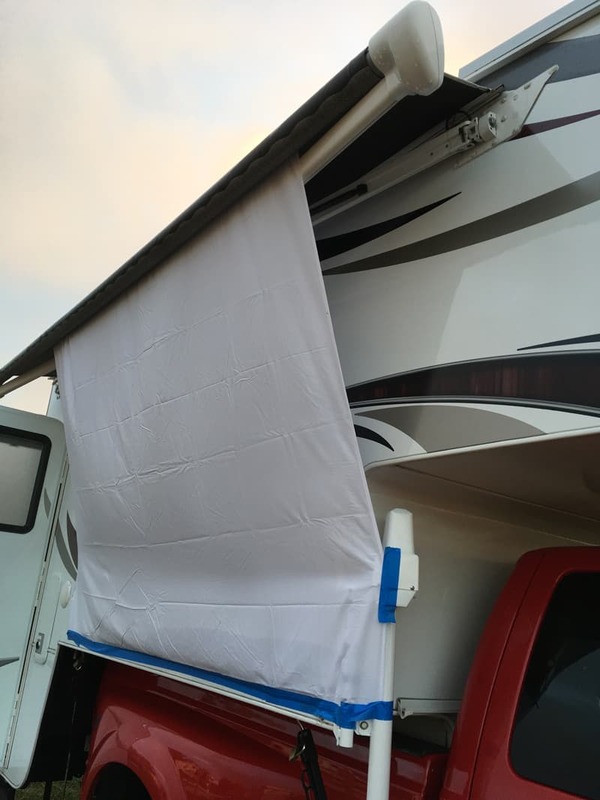 I have made a movie screen using a non-fitted white sheet (that I borrowed from Ray and Brenda) and stuck to my awning using some blue painter’s tape. 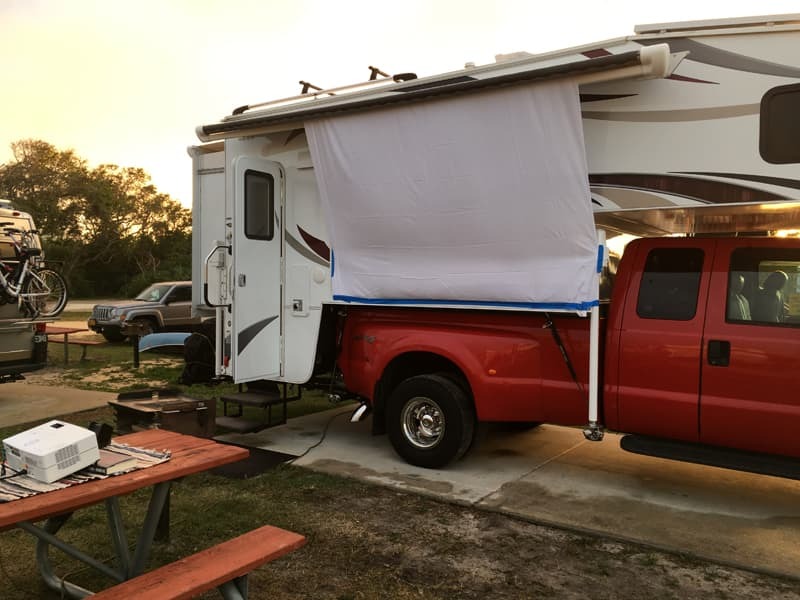 You may need a ladder or step stool to put up the screen.